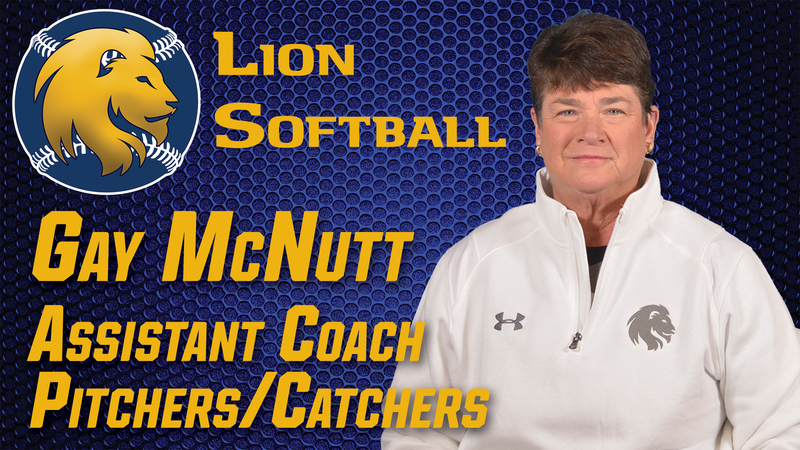 Lion Softball announces the hiring of Gay McNutt as the assistant coach for pitchers and catchers. COMMERCE– The Texas A&M University-Commerce softball team is pleased to announce the hiring of Gay McNutt as the team’s pitching and catching coach. A&M-Commerce head softball coach Richie Bruister announced the hire this week. McNutt has coached softball for 32 years, 22 of which she spent as a Division I head coach. She comes to the Lions after two seasons as a volunteer assistant coach at the University of North Texas in 2017-18. Before her time at UNT, McNutt served as the head coach at Stephen F. Austin, where she coached for nine seasons before resigning after the 2016 season. Under her guidance, the Lumberjacks made five Southland Conference postseason tournaments and won the 2008 tournament championship, the first in program history. Before her time at SFA, McNutt served as the head coach for seven seasons at Southern Mississippi, where she is the program’s all-time leader in wins. She led USM to two Conference USA Championships. McNutt was also the head coach at Northwestern State for six seasons, winning three consecutive Southland Conference Championships in her final three seasons. As a coach, McNutt led her teams to seven conference championships and four NCAA Regional tournaments. She was named Southland Conference Coach of the Year four different times and also was named Conference USA Coach of the Year. McNutt earned her bachelor’s degree in behavioral science from Louisiana-Lafayette, where she began her coaching career. She also served on coaching staffs at the University of Houston, and Alvin Community College. Before her coaching career, McNutt was an All-American at Texas A&M and inducted into the TAMU Hall of Fame in 2011. She was a four-year starter (1982-85) behind the plate for the Aggies, earning All-American honors as a senior and All-Region awards in all four of her seasons. McNutt was a two-year team captain and helped lead the Aggies to three consecutive National Championship games, winning two. As a freshman, she helped the team win the 1982 AIAW Women’s College World Series. As a sophomore, McNutt and the Aggies won the 1983 NCAA Women’s College World Series, and the team finished as the national runner-up in 1984. 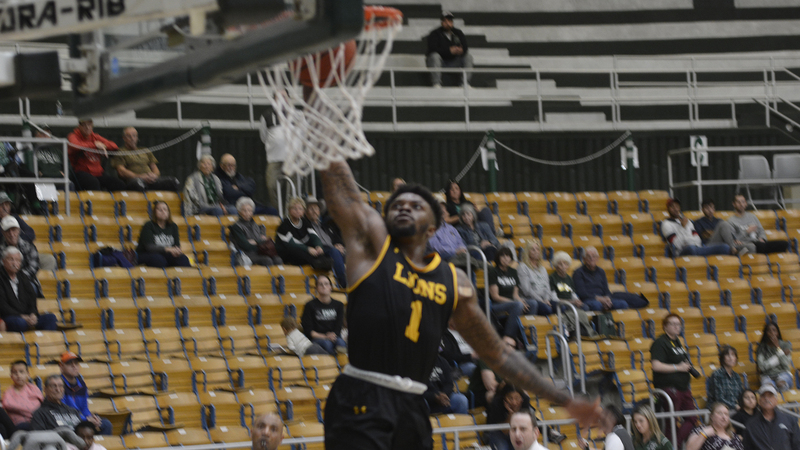 Lions remain in Top 25 in NABC Coaches’ Poll after splitting road trip. KANSAS CITY, Mo.– The Texas A&M University-Commerce men’s basketball team is ranked No. 25 in this week’s National Association of Basketball Coaches’ Division II Top 25 poll, as announced Tuesday. The Lions fell five spots from last week’s poll. The Lions have a record of 14-3 with a 6-1 record in the Lone Star Conference, winning nine of its last ten contests. It is the Lions’ third consecutive week in the NABC poll. Since joining Division II, this is the Lions’ 39th week in the national top 25. With their 6-1 record, the Lions are a half game back of first place in the conference standings. They will host Western New Mexico on Thursday at 7:30 p.m. and UT Permian Basin on Saturday at 4:00 p.m. The Lions complete the first half of their conference season. Tickets for the games are available at WeAreLionsTix.com, by calling (903) 468-8756 or by visiting the Lion Sales & Service Box Office in the Field House.